This attractively designed multi-family building uses modern materials, scale, and forms to fit comfortably in the historic residential scale of the surrounding neighborhood. Residents will enjoy a quiet neighborhood with no through traffic, as well as easy access to downtown and the SODO commerce areas via car or transit. It’s easy to enjoy the nearby Beacon Hill Playfield, North Beacon Hill Village Center shops, local restaurants, a public library, El Centro de la Raza Cultural Center, and the LINK light rail station for rapid transit to downtown or the airport. 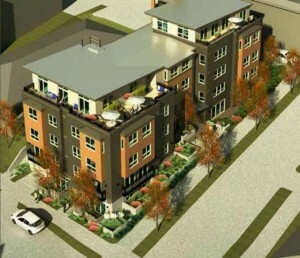 The 48 units create an opportunity for community among the residents. The entry courts and common garden spaces provide opportunities for neighbors to connect.